Chronic teeth grinding, or bruxism, gradually damages and wears down teeth, and often occurs as a response to stress or anxiety. An individual with sleep bruxism may not even realize that they clench their teeth. Bruxism is common in children, but usually resolves during adolescence. Sleep disorders, missing teeth, crooked teeth, or an abnormal bite can also result in teeth grinding. 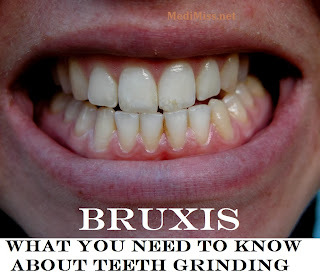 Left untreated, bruxism can cause jaw disorders, damaged teeth, and headaches. Mild cases of bruxism may not produce symptoms. Sore jaws and headaches are common signs of teeth clenching, while severe cases fracture or chip teeth. Tooth pain and loose teeth may also occur. In some cases the sound of grinding teeth wakes up sleep partners. Earaches associated with teeth grinding result from overworked jaw muscles rather than actual ear problems. Severe bruxism can damage the temporomadnibular joints (TMJ), a portion of the jaw found just in front of the ear. Tooth damage and jaw disorders are the most common bruxism complications. Dental grinding has also been linked to depression, eating disorders, insomnia, and sleep disorders. An exact cause of bruxism has not been identified. Stress and anxiety increase the risk of teeth clenching, as do anger and high frustration levels. A number of stimulating substances can trigger dental grinding, including coffee and other caffeinated beverages. Alcohol consumption, smoking, and some medications also trigger bruxism. Your dentist will investigate possible bruxism if she sees signs of tooth wear, fractures, or tooth sensitivity during a dental exam. She may observe that crowns and other dental work wear down faster than they should, or identify signs of chewing on your cheeks. Complaints of jaw pain, headaches, and ear or facial pain also suggest bruxism. During diagnosis your dentist will ask you about alcohol and coffee consumption, and any medications you take. You'll also be asked about your sleep habits. X-rays may be required to identify possible jaw disorders. If the dentist suspects your bruxism results from anxiety or depression, you may be referred to a therapist. You may also be referred to a sleep specialist to rule out possible sleep disorders. If stress is the primary trigger for bruxism, stress management and relaxation techniques can reduce it. If teeth grinding stems from a physical problem such as misaligned teeth, dental work may provide some relief. 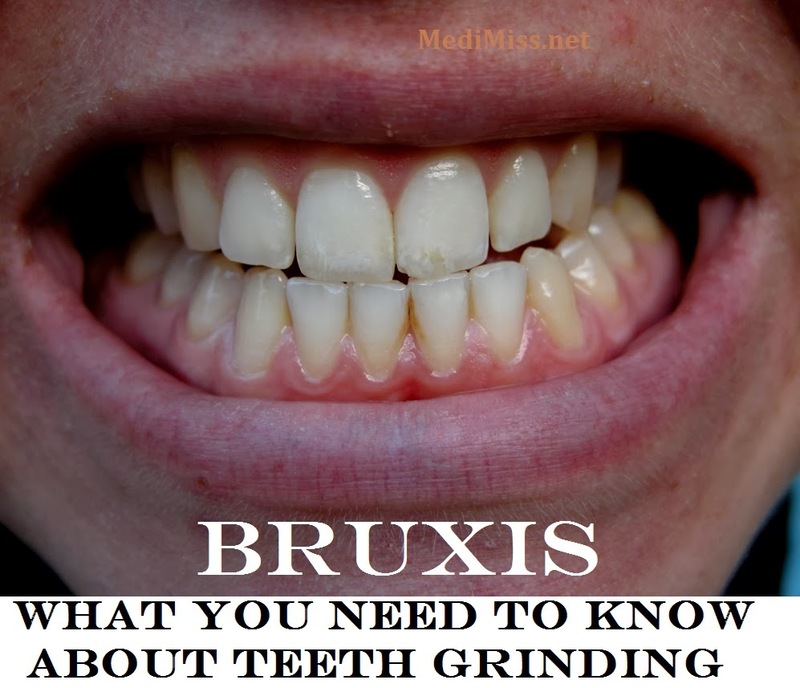 While corrective dental work will fix the damage caused by bruxism, however, grinding may continue, causing damage to the corrected teeth. You may need to wear a night guard or splint while you sleep to protect your teeth from the wear and tear of bruxism. A splint is a hard acrylic device that fits over your lower teeth. Splints are custom-made to fit your mouth. Night guards can either be custom-made or purchased at over-the-counter. An OTC mouth guard will not fit your teeth as well as a custom-made model. Mouth guards have some drawbacks as bruxism treatments. They are soft and wear down faster than splints. Some people experience an increase in teeth clenching while wearing mouth guards or splints. If you do grind your teeth, lifestyle changes can help treat the condition. Reduce stress before bedtime with a warm bath, listening to soft music, or practicing relaxation techniques. Avoid caffeine and alcohol for several hours before bed. Quitting smoking reduces bruxism symptoms as well as improving your overall health. If you think you might be teeth grinding, talk to your dentist. Regular dental exams help identify bruxism in its early stages before tooth or jaw damage occurs.